Come November, Washington voters will be asked to consider four major initiatives, including whether to assess a fee on large greenhouse gas emitters, whether local government should be allowed to tax things like soda, whether the state should raise the age to buy semi-automatic rifles and increase safety requirements for gun owners, and whether use of deadly force and training requirements for law enforcement should be changed. In what could shape up to be the most expensive initiative battle in state history, voters will decide whether to pass a first-in-the-nation fee on carbon pollution. 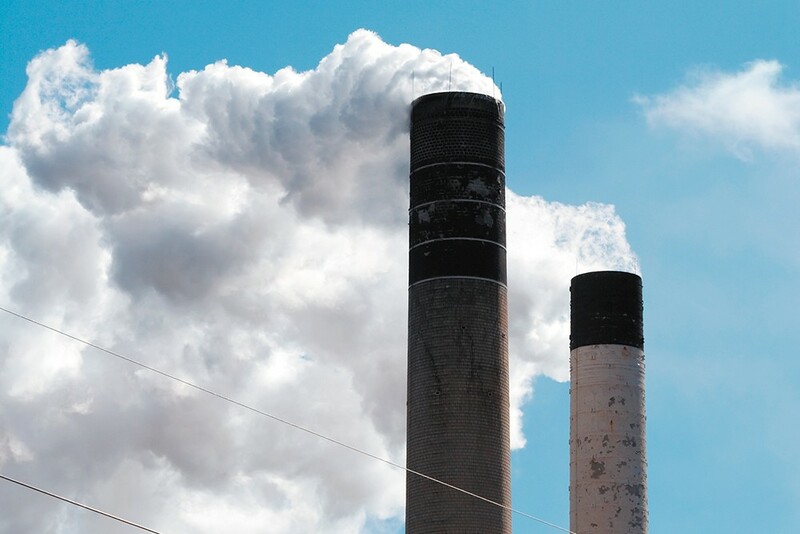 Over the first five years, the fee, starting in 2020 at $15 per metric ton of carbon pollution, is expected to collect about $2.3 billion, according to an estimate by the state Office of Financial Management. The fee would continue to go up by $2 per metric ton each year, plus inflation, until the state reaches its 2035 greenhouse gas reduction goal, set by previous legislation. At that point, the fee would only increase by inflation each year. Opponents tried to get the measure labelled a tax, but proponents say it was specifically set up under the state's rules as a fee, which, unlike a tax that could be allocated to anything in the state budget, requires the money raised go toward fixing related issues. The money would be set aside in specific accounts to pay for projects that reduce greenhouse gas emissions and pollution, invest in natural resources to make the state more resilient to the effects of climate change and provide assistance to communities, both helping low-income households with energy-related upgrades and transitioning workers away from fossil fuel jobs. The funds would be managed by a 15-member board that would include the commissioner of public lands, the heads of multiple state departments, including Ecology and Commerce and at-large seats appointed by the governor, which would include at least one tribal representative and one representative of vulnerable populations. Proponents, such as Kurtis Robinson, in his ninth season as a wildland firefighter and president of the Spokane Chapter of the NAACP, say the proposed investments into things like forest management are essential in a changing world. "Wildfires have been growing much more expansive and dynamic, and the real issue has been not only the changing biosphere, but it's predominantly been the encroachment," Robinson says. "We have not been letting fire be the resource it is for nature. Now we've got to figure out how to utilize it to do what it's supposed to do anyway, in a way that's sustainable, maintainable, and also safe for our people and the environment." Opponents, including the Washington Farm Bureau, the Association of Washington Business and Western States Petroleum Association, argue the fee is unfair, will hurt businesses and will be passed on to individuals via higher prices at the gas station and on their home heating bills. The increased cost to households is estimated between $10 and $20 a month, depending on how much of the fee is passed on to consumers. "They've exempted the largest polluters, then they leave the cost to Washington families and businesses," says Dana Bieber, spokeswoman for the No On 1631 campaign. "This is a regressive tax. It impacts those who can afford the least to pay more." Robinson acknowledges the concern that the fee could be felt most by low-income households and communities of color, but says those same communities are already the hardest hit by the effects of pollution, wildfires and climate change. "The fact is," Robinson says, "we're already paying the price." The measure is largely aimed at fossil fuels, including petroleum produced and used in the state, as well as electricity produced here and sold elsewhere, with several exemptions. Aircraft and marine fuels are exempt, and so are "Energy Intensive Trade Exposed" uses, such as aluminum smelting. Notably, coal power plants scheduled to close by 2025 are exempt, including the only one in the state, TransAlta's Centralia Coal Plant, and the first two units of Colstrip Power Plant in Montana, which Puget Sound Energy is required to close by 2025. Most oil, on the other hand, is not exempt, and major oil companies have donated millions to defeat the measure, according to campaign filings with the Public Disclosure Commission. The No On 1631 campaign had raised roughly $21.3 million as of this week, including donations from Phillips 66 ($7.2 million), BP/BP America ($6.4 million) and Andeavor (formerly Tesoro, $4.4 million). Meanwhile, supporters of the initiative have raised more than $7 million through the group Clean Air Clean Energy WA, with the largest donations coming from the Nature Conservancy ($1 million), League of Conservation Voters ($500,000) and a total split of $2.9 million from businesses and $4.1 million from individuals. When asked if the oil companies backing the measure might support a different carbon fee if there weren't as many exemptions, Bieber says the coalition came together for one purpose: to defeat 1631. "We can all agree to have a carbon tax mechanism that's effective and fair, first you can't exempt the largest polluters in the state, second you can't push the costs to consumers and businesses," Bieber says. "Three, there has to be assurance of carbon reduction, and four, the board should be accountable to voters, and 1631 fails on all of those tasks." But the huge amount of money oil companies are spending to defeat the measure should make people question their real motives, says Nick Abraham, a spokesman for Yes On 1631. "The same companies that have been fighting us on putting these standards in place, and putting all these protections in place, are now saying, 'Well, we don't think it's strong enough,'" Abraham says. "That's just sort of on its face ridiculous." Abraham notes the measure does provide for set reductions in pollution based on goals set by the Legislature in 2008. Also, the board will be regularly audited, Abraham says, and importantly, unlike the Legislature, won't be influenced by oil lobbyists. "1631 is designed to follow those exact requirements for how much we want to reduce pollution. This just creates a plan for how to get there," Abraham says. But Bieber questions whether the reductions are goals more than requirements, and whether the board will have enough oversight to prevent its members from funneling money to projects in their own communities. "They've written it so cleverly: If they are not successful at reaching their goals, they actually get more money," Bieber says. "By 2035, if they havent reached their goals, then the tax continues to increase." This initiative would raise the minimum age to buy a semi-automatic rifle to 21, from 18, to match the current minimum age to buy a handgun. For "semi-automatic assault rifles," the measure would also implement a 10-day waiting period for purchases and require purchasers to show they've completed a safety training course. It also would allow the department of licensing to implement a $25 fee on gun purchases and require safe gun storage by making it a felony to leave a gun where someone prohibited from owning one could access it. Initiative 1634 Concerning "Taxation of Certain Items Intended for Human Consumption"
Despite the wordy name, the measure is fairly straightforward: It would prevent local taxes or fees on groceries, most of which are already exempt from tax under state law. Those that aren't, namely soft drinks, would also be exempt if the measure passes. Existing local grocery taxes, such as Seattle's tax on sugary beverages, would remain in place if in effect by January 2018, but they couldn't go up or be expanded if the measure passes. The measure would not prevent the state's ability to tax groceries in the future. Major beverage companies are behind the initiative, with Yes! To Affordable Groceries raising $13 million, its three largest donors being Coca-Cola ($6.2 million), PepsiCo ($4.7 million) and Keurig Dr. Pepper/Dr. Pepper Snapple Group ($1.9 million). Initiative 940 Concerning "Law Enforcement"
This measure deals with the use of deadly force by police and would require de-escalation and mental health training, as well as change the liability for officers who use deadly force. It took an unusual route to the ballot, after lawmakers passed legislation with the same language, then another bill that would have immediately amended that language. The state Supreme Court weighed in to say that move wasn't one of the three allowable options for lawmakers to take with an initiative and ruled the original language should go on the ballot, without the alternative that included compromise language from HB 3003. Those who've worked on the initiative expect nearly immediate moves to amend the measure if it passes. The original print version of this article was headlined "Putting a Price on Carbon"